Latham's Snipe is a non-breeding migrant to the south east of Australia including Tasmania, passing through the north and New Guinea on passage. 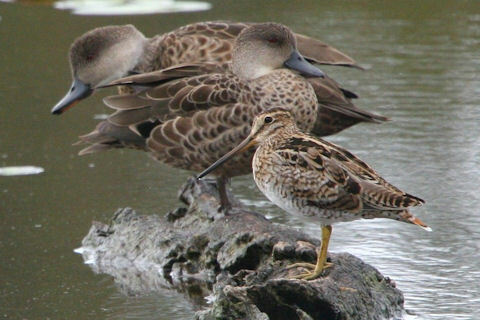 Latham's Snipe breed in Japan and on the east Asian mainland. Latham's Snipe feed by thrusting their long bill into mud with an up and down 'sewing machine' action in soft mud flats or shallow water. They roost in the day and feed at night, early morning or evening. They are omnivorous, eating seeds and plant material, worms, spiders and insects, some molluscs, isopods and centipedes.